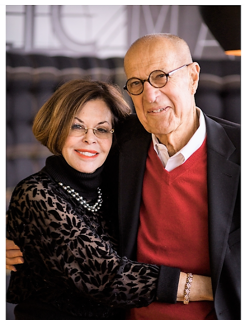 Luvera Law Firm traces its roots back nearly 50 years, when Paul Luvera started practicing law in Mount Vernon, Washington, later joined by his wife Lita Luvera. They co-founded the Luvera Law Firm, which was originally located in Mount Vernon and concentrated on civil damage cases, in the personal injury area of law exclusively representing people with damage claims as plaintiffs. As its legal work expanded, the firm moved its primary office to Seattle. In 2014, Paul and Lita retired from the active practice of law to their home in Gig Harbor. Paul Luvera was born in 1935 and began practicing law in 1959, after graduating from night law school at Gonzaga University, while working for a lawyer during the day. His father was born in Italy and his mother’s family emigrated from Croatia. Paul was born in Anacortes, where his parents operated a family grocery store. One of the leading trial lawyers in the nation, Paul obtained many multimillion dollar verdicts and settlements, including record amounts in several states. He was involved in many high-profile cases, including representing the State of Washington in its lawsuit against the tobacco industry, and was also lead counsel against the gun industry for shootings on the east coast. He has published more than 100 legal articles, and lectured extensively to law groups across the country. He also taught for 20 years at the Spence Trial College in Wyoming for Gerry Spence. Luvera has received numerous awards and recognition for his legal skills. He served as past president of the Inner Circle of Advocates, the nation's most exclusive plaintiff's trial lawyer’s organization, and past president of the Washington State Trial Lawyers Association. He is also a founder and past president of the Damage Attorney's Round Table; a fellow of the American College of Trial Lawyers; the International Academy of Trial Lawyers; the American Board of Trial Advocates, and the International Society of Barristers. Since retirement, Paul Luvera has continued to publish on a variety of legal topics, especially in the area of trial practice, and serves as a mentor to lawyers throughout the country. He also pens regular blog posts discussing plaintiffs’ law topics, and covers a range of themes on his personal blog. Lita Luvera was raised at the southwest entrance to Mt. Rainier National Park, where her parents owned and operated “The Gateway Inn" for fifty years. Lita is a 1977 graduate of Gonzaga Law School. She was the firm’s managing partner for personnel, general business, and firm operating policies. Her responsibilities also included new case screening, client and witness testimony preparation, and the evaluation of damage evidence for cases. She also attended client depositions and trials, where she worked in association with the partner trying the case, and was instrumental in many multimillion dollar verdicts and settlements. As an active participant in Gonzaga University affairs, Luvera was invited to be a member of the Law School's Dean Advisory Council and to serve on Gonzaga's Board of Regents. She was ultimately honored with Gonzaga’s Distinguished Alumni Merit Award. Lita is also deeply committed to the community, and has served in several organizations, including the Forgotten Children's Fund, Special Olympics, University of Washington Center on Human Development and Disability, University of Washington President's Club, Children's Hospital Foundation, Bailey-Boushay House, and The Crystal Judson Family Justice Center. She has also been actively involved in The Center for Women and Democracy at the University of Washington, where she traveled to Cuba with Senator Maria Cantwell to meet with and assist local women leaders in democratic development. She also served for 12 years on the Board of Trustees for PONCHO (Patrons of Northwest Civic, Cultural and Charitable Organizations) to promote the importance of arts in the Pacific Northwest.